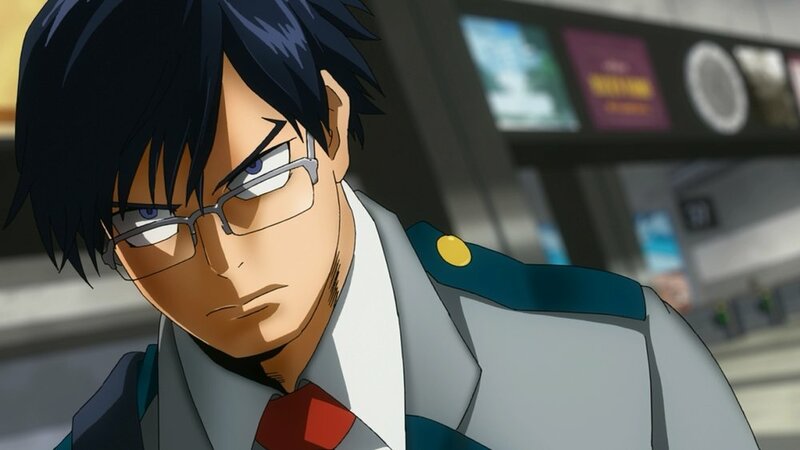 Izuku "Deku" Midoriya is one of a rare breed of people - borne without any "quirk" powers in a world where superheroes are not only real but a viable profession. However his lack of a superpower doesn't prevent Deku from enrolling in the prestigious U.A. Highschool o chase his dream of becoming the next symbol of peace, like his idol All Might. NB: this review focuses on the final six episodes. The class has just finished their internships, where they have been paired with adult superheroes. Deku seems to have learned a lot from his, and impressed his mentor. He has also saved a classmate from a new villain called Hero Killer: Stain. Returning to class to meet his fellow students, its time to prepare for the end-of-yer exams. It's been quote a while since I properly checked in on an anime series. I'd been put off in the past by cheap animation techniques which ended up with lots of talking and hardly any movement, overt histrionics and complicated plots. So, I was pleasantly surprised by what I saw of My Hero Academia. I found that it was relatively easy to catch up on events - the students had all participated in a hero sports challenge, gone on to an internship and crossed paths with Hero Killer: Stain. The character designs are all varied and individual, as are their "quirks" - the name given to their superpowers. Back at school, the students don't have long to reflect on their internships as its soon time to sit their end-of-year exams. The promise of a summer camp awaits those who pass. The exam is divided into a written section and a practical, and its the latter which takes up most of the last part of the season's episodes. The students are put into pairs and have to defeat one of their teachers in order to pass. These battles are very different from each other and allow for a lot of introspection. Each is designed to exploit the students' weaknesses, so they have to understand what those weaknesses are and how they can be overcome by working as a pair rather than individually. A lot of this is commented on by Deku himself as he watches each duel alongside the school nurse. These battles also allow a newcomer like myself become more acquainted with the characters and their "quirks". Obviously, the final duel features Deku, an he is paired with Katsuki Bakugo, his childhood nemesis who used to bully him when Deku didn't have a quirk. Not only that, but the pair must work together to defeat All Might, the most powerful superhero on the planet. 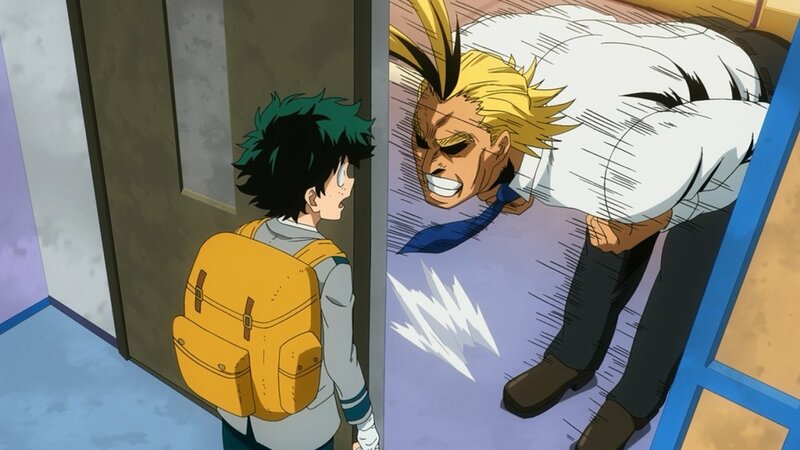 All Might is also the person who bestowed his quirk, One For All, to Deku, so there is a lot of emotional baggage to this particular battle! Although I was jumping in to the series cold, I found myself warming to it very quickly. Whilst I was missing a lot of backstory, it didn't impact much on my enjoyment of the episodes seen and I was able to follow the plot easily and discern between the various characters (although I didn't have time to learn their names!). The series is very well produced with very colourful animation which doesn't feel like its cutting corners visually. The English dubbing is also handled very well and not grating at all. This is a very entertaining series, full of incident and should appeal to anime fans of all ages.